Thank you for partnering with Grace Emmanuel School! Please fill out the form below to give to Grace Emmanuel School. If you are giving a one-time donation toward a sponsorship, please note that in the comments box below. To set up monthly donations for student sponsorship, use this form instead. Questions? Please contact 260-302-5446 or email giving@jesusinhaiti.org. First Name: Last Name: Company: Address: City: State: Alabama Alaska Arizona Arkansas California Colorado Connecticut Delaware District of Columbia Florida Georgia Hawaii Idaho Illinois Indiana Iowa Kansas Kentucky Louisiana Maine Maryland Massachusetts Michigan Minnesota Mississippi Missouri Montana Nebraska Nevada New Hampshire New Jersey New Mexico New York North Carolina North Dakota Ohio Oklahoma Oregon Pennsylvania Rhode Island South Carolina South Dakota Tennessee Texas Utah Vermont Virginia Washington West Virginia Wisconsin Wyoming American Samoa Federated States of Micronesia Guam Marshall Islands Northern Mariana Islands Palau Puerto Rico U.S. Minor Outlying Islands Virgin Islands Armed Forces Americas Armed Forces Europe, the Middle East, an Armed Forces Pacific Alberta British Columbia Manitoba New Brunswick Newfoundland and Labrador Nova Scotia Northwest Territories Nunavat Territory Ontario Prince Edward Island Quebec Saskatchewan Yukon Territory Province (Foreign) Zip Code: - Email: Phone: (OPTIONAL) Tell us why you're making this donation. You will enter payment information on the next page. Click "Submit" to continue. 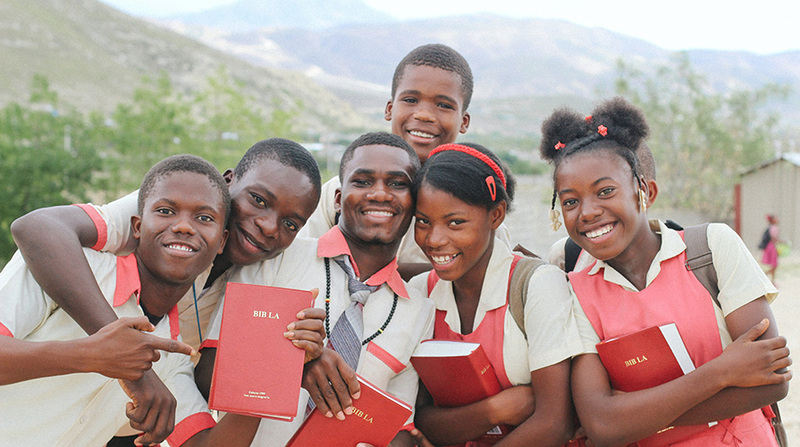 Read our Giving FAQ or contact us at 260-302-JiHM or giving@jesusinhaiti.org. Enclose a separate note with any instructions specific to your donation. Link your Amazon spending to JiHM's Amazon Smile, and Amazon will donate a portion of every eligible purchase to JiHM.